Oh dear. The unfortunate lack of joined up thinking within the broadcasting behemoth that is the BBC has once more opened the door for a fresh onslaught of criticism. 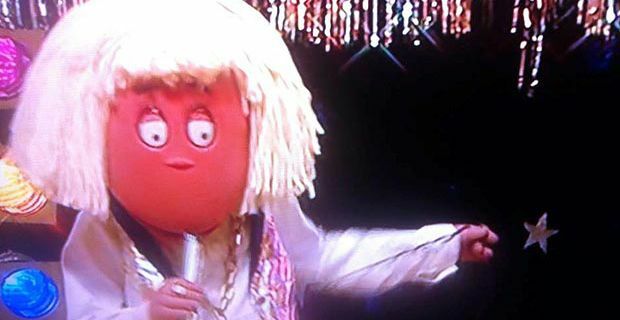 In a particularly catastrophic oversight, the Beeb actually rebroadcast an episode of children’s program ‘The Tweenies’ that featured one of the characters dressed up as Jimmy Savile. Max appeared in the episode sporting a shellsuit, a blonde wig and an array of naff gold necklaces to parody a Top of the Pops chart countdown and introduce a song that is unbelievably called ‘One Finger One Thumb’. Just going to pause here and let that sink in…… Yes it really is that surreal and that disastrous. The right wing and in particular the Murdoch press are obviously having a field day with this gargantuan blunder as they revel in having a new stick with which to beat the broadcaster. The episode was originally aired in 2001, well before the scandal broke, and clearly no-one thought to re-verify the content before it went out again. Victims and outraged parents all took to Twitter, various online forums and the tabloid press to voice their utter disgust at this latest BBC gaffe. It doesn’t really get much worse than peadophiles being celebrated on children’s TV and no doubt the use of his catchphrase ‘Now then boys and girls’ in a Yorkshire accent sent shivers up the spine of hindsight. The BBC apologised for showing the repeat in the light of the Savile abuse scandal. "This morning CBeebies broadcast a repeat of an episode of the Tweenies, originally made in 2001, featuring a character dressed as a DJ impersonating Jimmy Savile," a BBC spokesman said. "This programme will not be repeated and we are very sorry for any offence caused." It would be easy to say that nothing is going right for the BBC at the moment. Except that it would be rubbish – they continue to systematically broadcast quality content across all television and radio networks, and it would be a shame to play into the hands of the vested media interests ranged against them by seeing this as anything more than a particularly bad mistake. Because let’s face it. The children watching the Tweenies don’t have a clue about what the bloke in the blonde wig represents.